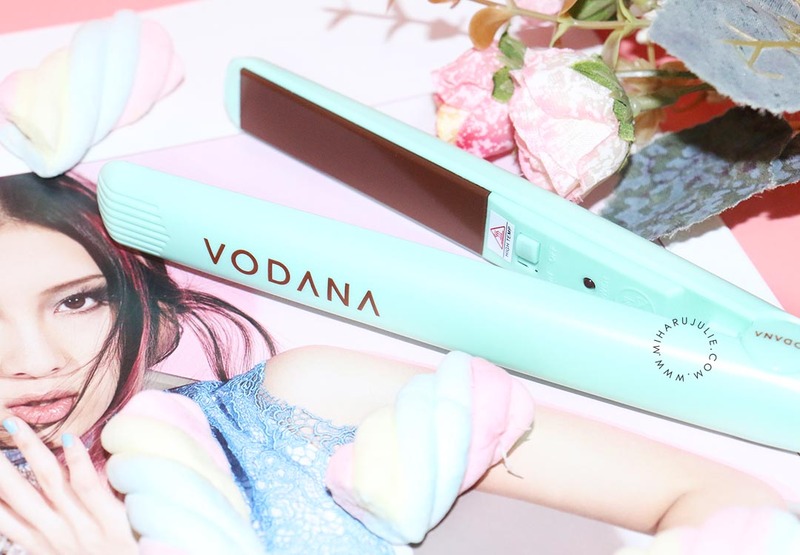 Vodana is a best-seller hair tools in Korea. Previously, I have review the Vodana Glam Wave Curling Iron and the new edition is Pocket Mini Flat Iron. 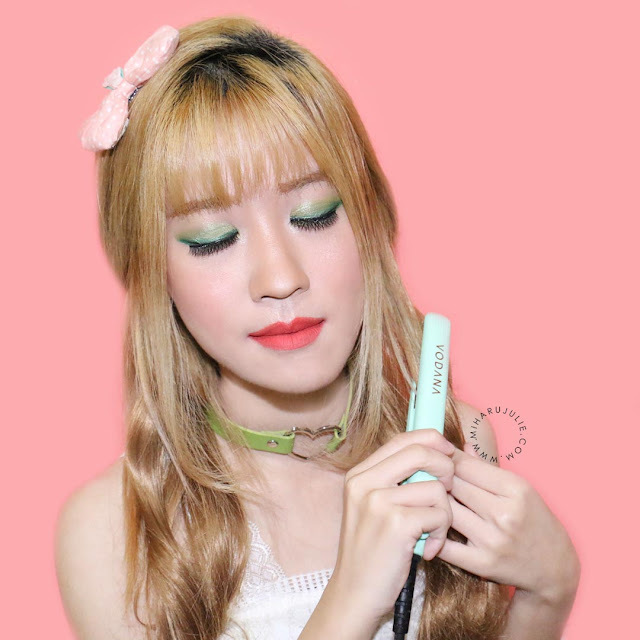 They are available in 2 colors: Mint Choco and Pink Rose. 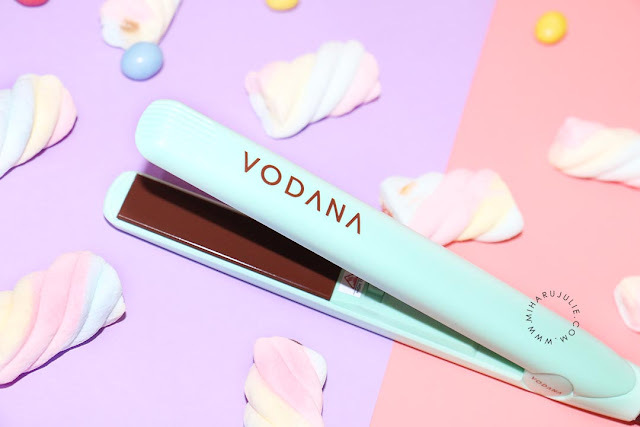 The first thing you’ll notice about the Vodana Pocket Mini Flat Iron, is it’s cute, yet sturdy design and ergonomic grip handle which allows for easy usage and storage. 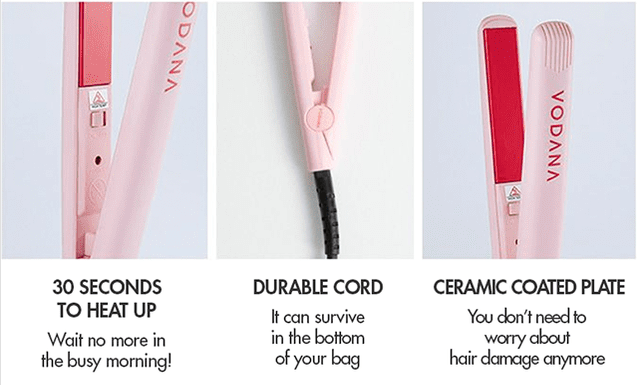 Vodana Pocket Mini Flat Iron, really are mini but they do come with a long enough cord for them to still be practical to use. They fit in pretty much any bag (including all of my daytime handbags) which makes them incredibly travel friendly. Usually I have to debate whether hair straighteners are a travel "necessity" but now I can always justify taking them on trips. I also think that if you're a regular gym then these are incredibly handy to pop in your bag for after your work out. What ceramic coating does is it prevents heat penetrating into hair shafts and saves your hair from literally getting cooked. So definitely avoid those straighteners or curlers which have metallic coating or don’t have any ceramic or tourmaline coating. 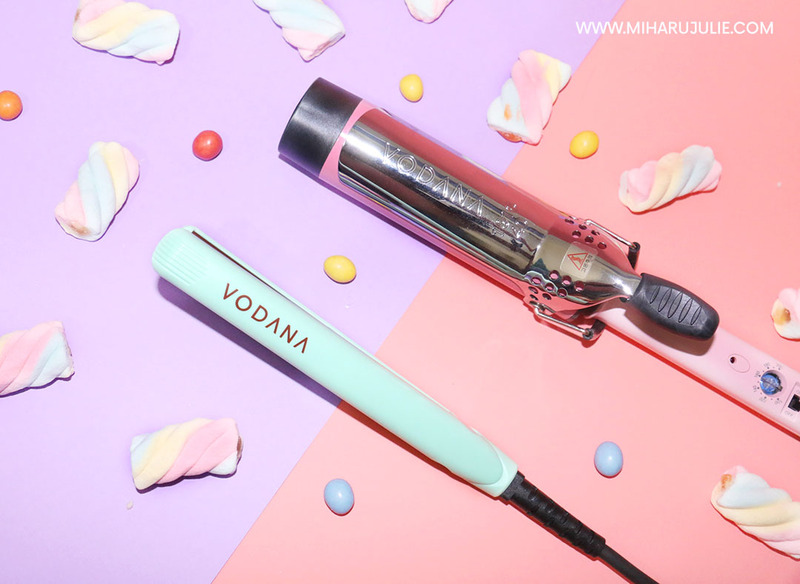 I'm using Vodana Pocket Mini Flat Iron for my everyday hair mainly because it doesn’t damage my hair. 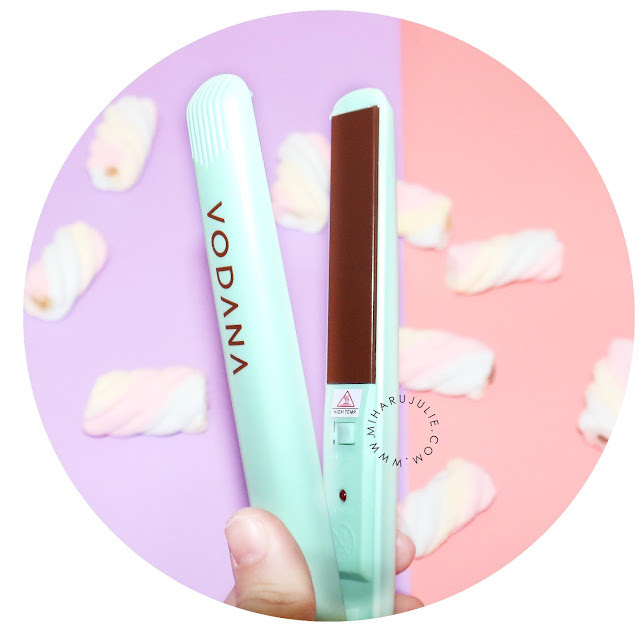 I love this it heats up really fast ( only take 30 seconds ), but does not cook your hair and it is really easy to use. My hair didn't even feel dry at the tips like it usually does. I also discovered that I can use the Vodana Pocket Mini Flat Iron to create other styles that involve curling and blowing. It’s really a multi- function and time saving tool for me. Where to buy Vodana Hair Tools ? 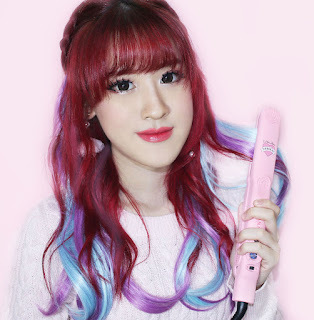 How to buy CHARIS Products? If you live in Indonesia, don't worry about the payment! 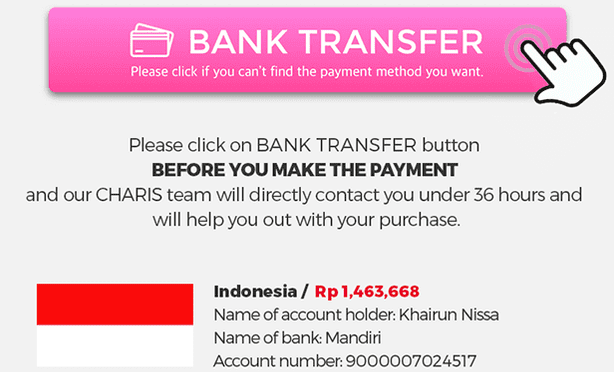 Now you can buy any of CHARIS products by using Bank Transfer ( ATM Mandiri ), Paypal or Credit Card. It's so little, I love it! Meskipun selalu trlihat wrnain rambut dan catokan, rambut kakak selalu terlihat sehat ya. Pengen bgt kyk gitu. Share dong kak tipsnya. catokannya bagus banget kak, minimalis lagi gak makan tempat.